A luxury hotel situated right on the beach in Ibiza, perfect for discovering this idyllic island. 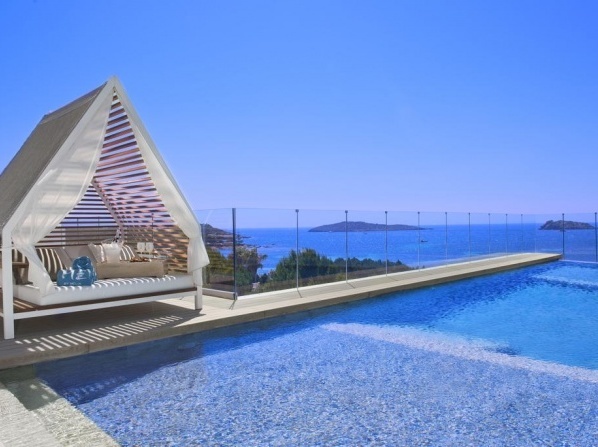 ME Ibiza is a modern holiday retreat which is located on a secluded bay right on the sandy beach, allowing guests to easily access the warm Mediterranean waters as well as their yachts. 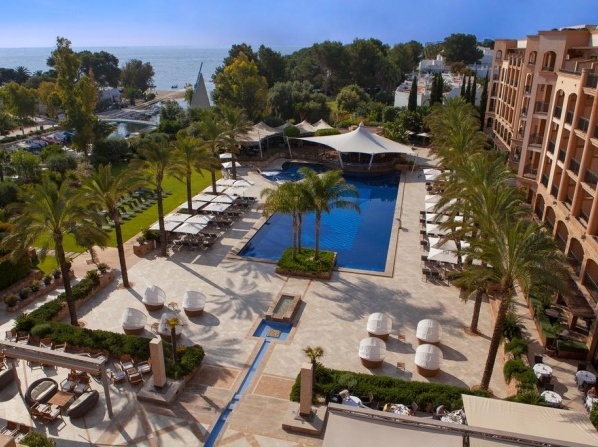 This stylish 5 star hotel offers a variety of room types, including such as ground floor suites with direct pool access, beautiful private gardens, wonderful views of the sea and other exclusive benefits. Hotel Mirador is situated at Dalt Vila, the old and historic town of the city of Ibiza; an amazing area with a rich history and breathtaking views. The town house was built in 1904 and it is located in the center of the beautifully walled quarter of Dalt Vila. For generations it was the home of the Fajarnés family. A beautiful boutique luxury 5 star hotel which offers just 12 individually styled sophisticated rooms. 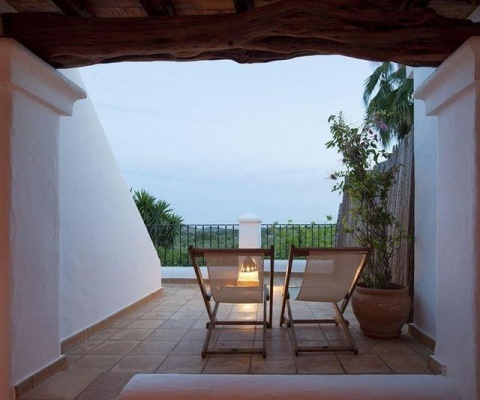 The Hacienda Na Xamena, Ibiza, is a haven of serenity that allows guests to experience their dream vacation in Ibiza. This whitewashed Ibiza style property boasts an idyllic location on the coastal frontline, 180m over the sea level, in the heart of a preserved natural park. The hotel features 77 rooms and suites, several meeting and banquet rooms, two restaurants, an indoor and an outdoor bar, a spa with outdoor and indoor facilities, sun terraces with towels and sun-beds and a plethora of other facilities and amenities which ensure the most enjoyable and comfortable stay. 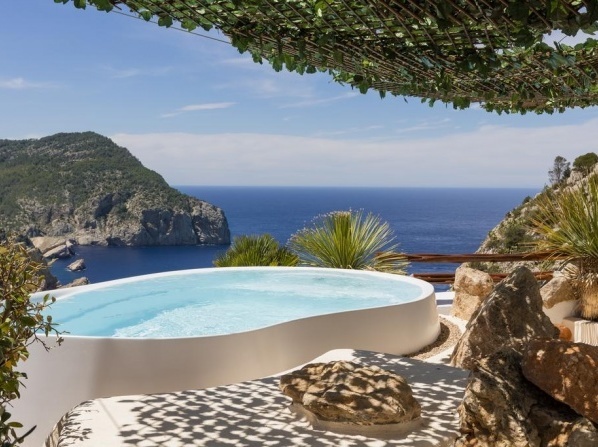 Offering beautiful sea views from its clifftop position, this boutique hotel is located on Ibiza's north coast. The hotel offers complimentary private outdoor parking services. Five-star luxury service with all amenities and comforts to make your stay complete. Combining a comfortable and distinguished setting, this 5 star hotel is the ideal place to enjoy a memorable holiday, magnificent cuisine and celebrate any sort of event. Charm and Luxury...Nestled on a charming hilltop, the hotel is an haven of exclusivity where nature, sophistication and privacy meet to create a glamorous atmosphere of wellbeing and relaxation. Surrounded by beautiful landscapes and lush gardens, this former private Manor house offers 12 luxurious rooms, where every detail embodies an apparent allure. This LGBTQ friendly hotel is only available to guests 18 and up, and is not suitable for children. This property is available for guests 18 and older. 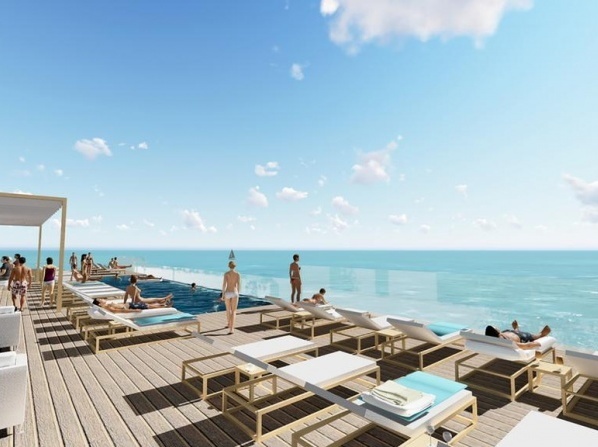 This newly renovated resort is located at the georgous Playa d’en Bossa beach, just 4 km from Ibiza and within walking distance of Ibiza's best bars and clubs. 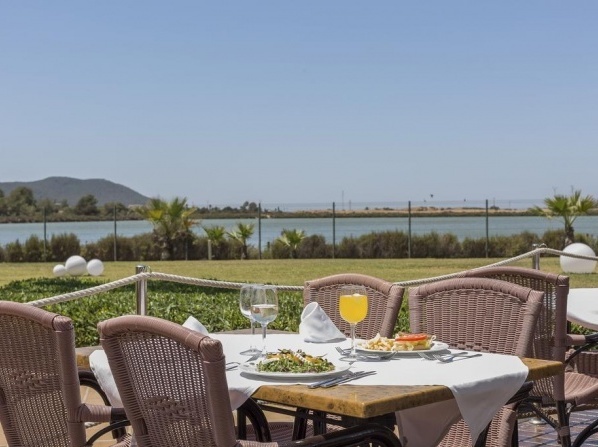 The impressive facilities of the boutique hotel include a chill-out bar and restaurant, a disco, a tennis court, a pool bar, a souvenir shop, a supermarket and parking for its guests. The hotel’s recent refurbishment has been identified with its upgrade to 4-star status; now is one of the very few hotels in the area to have accomplished these high standards. 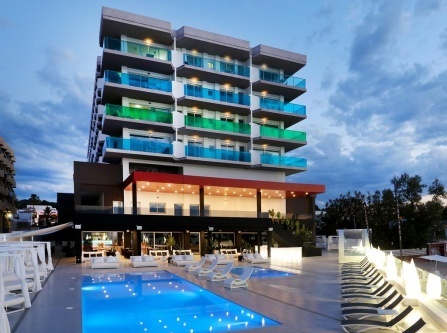 Great entertainment facilities : discos, music bars, cafes Space disco and Bora Bora beach club are just 5 minutes away. 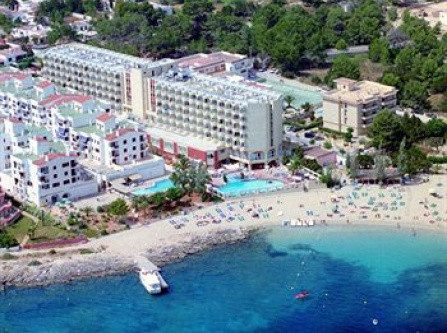 Situated near the quiet town of Saint Eulalia, Palladium Hotel Don Carlos is an adult-only hotel ideal for couples or friends who seek a peaceful retreat surrounded by the idyllic natural environment of Ibiza. 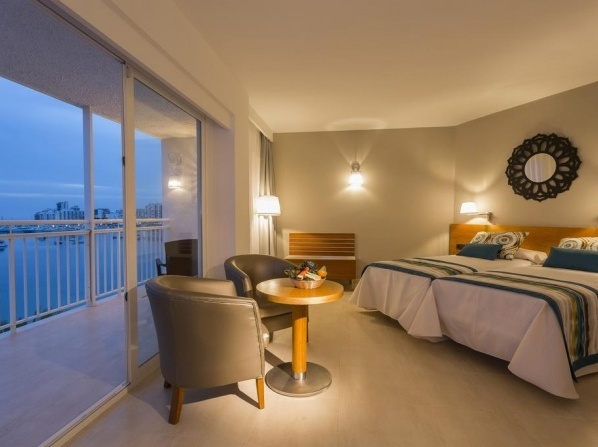 The hotel features 168 state-of-the-art rooms, exquisite Mediterranean gastronomy, a large swimming pool, a wellness centre, a fully-equipped gym and excellent service. 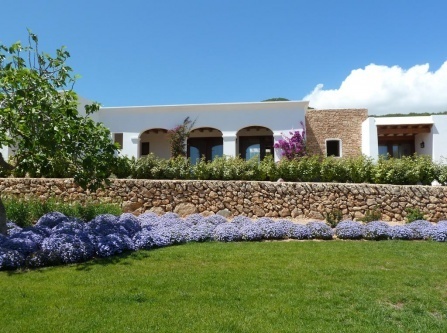 A luxury rural hotel situated in the heart of Ibiza countryside, just 1 km away from the city. World-class surroundings, some of the best beaches in the World; the hotel offers all the little touches to make your vacation even more fun. Hard Rock’s first European beach hotel has a beachfront location, positioned right on the Playa d'en Bossa. 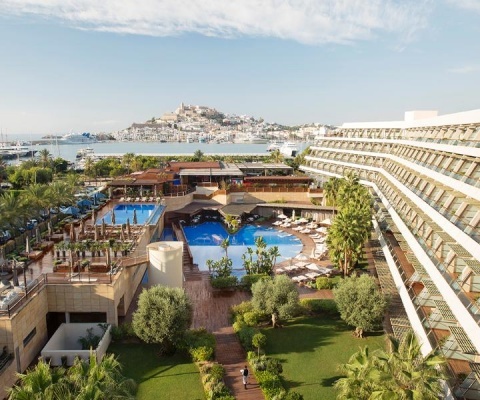 A luxury 5 star resort with rooms and suites that face the sea and the biggest Spa of the island of Ibiza. Enjoy a unique experience of exclusiveness and luxury together with the typical Mediterranean hospitality. 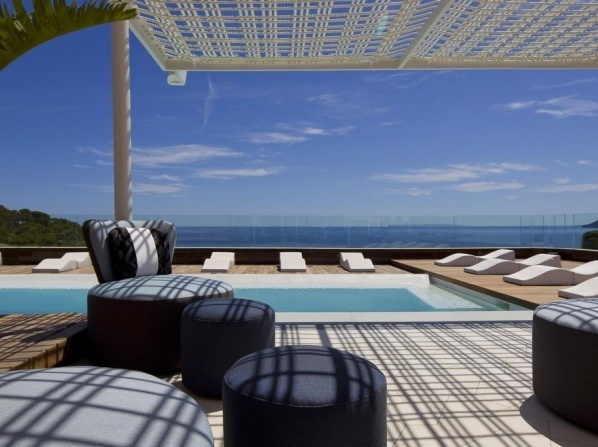 A luxurious 5 star hotel in Ibiza which combines character with high-end services. A hotel with charm which offers a unique and charming setting, helpful and friendly staff and beautiful beaches nearby. This property is for guests 18 and older only. Guests must be 18 or older to stay at this hotel. 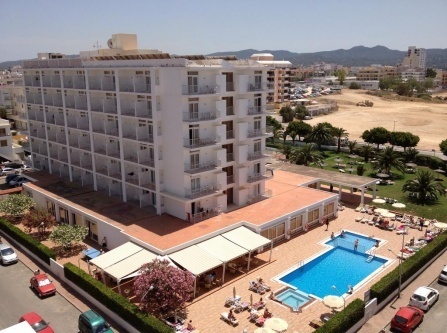 Guests staying at this modern upscale seafront resort can directly access the Platja d'en Bossa beach. Perfect place for relaxing holiday right on the beachfront. The 5 star hotel features 411 elegant and spacious rooms equipped with the most modern luxuries.